FranGlobal has signed Johnny Rockets, the global restaurant brand, for their re-entry in the Indian market. FranGlobal has signed Johnny Rockets, the global restaurant brand, for their re-entry in the Indian market. Johnny Rockets features a modern twist on the classic diner - with comfortable seats and areas perfect for gathering, friendly, approachable service and music that combines iconic classics with pop culture. Founded in 1986, the brand operates more than 350 franchise and corporate locations in 30 countries around the world. The Johnny Rocket’smodel to success is simple: memories that make people smile in addition to affordable and authentic menus, translating into loyal customers who seek them out, as opposed to the other way around. In an interview with Restaurant India, Senior Vice President, International Business at Johnny Rockets, Fred Joosten and Vice President, International Marketing at Johnny Rockets, Cathy Kellner-Diaz talk about the re-entry of the international restaurant franchise brand in India. The business was healthy with strong customer awareness and appreciation for our craveable quality food and fun, celebratory atmosphere. However, the franchise partner didn’t have the infrastructure we needed to expand. Millennials, who seek authenticity, quality and meaningful experiences, have been a key focus for Johnny Rockets, along with families looking for the same. And while birthdays and celebrations were once a primary reason to visit Johnny Rockets, our appeal has grown to people of all ages looking for over-the-top food and fun in their everyday life - from good report cards to good first dates, from good appetites to - quite simply - good moods. There are lots of brands offering burgers, but no one offers the lively burger, shakes and fries experience that you can only find at Johnny Rockets. Hard Rock Café, Chilis, and Carl’s Jr. could be considered as competitors in the region, however, our unique positioning and emphasis on over-the-top Americana and fun truly separate Johnny Rockets from the rest. All restaurants face indirect competition from all other restaurants, as well as folks dining at home. Johnny Rockets does not face any more competition in this regard than anybody else, and you can argue they face less due to their unique positioning, flexibility and commitment to the burgeoning off-premise market. Our signature experiential elements —DANCING, KETCHUP ART AND STRAW TWIRLS—engage and involve our customers and make us a place to celebrate everyday moments. These are exclusive to Johnny Rockets and make our brand enduring. 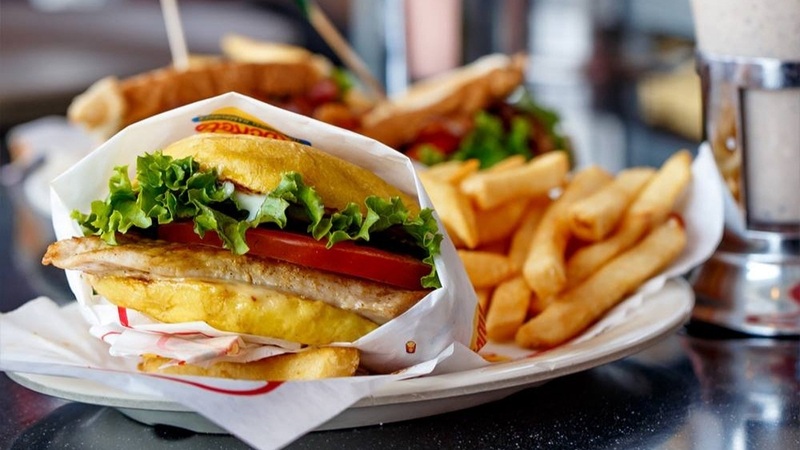 Every Johnny Rockets restaurant serves simple, great-tasting food from an innovative menu of all-American favourites including freshly made Burgers, crispy American Fries, classic Sandwiches and indulgent hand-spun Shakes and Malts. Our all-American concept resonates throughout the world—from Bali to Brazil and Seoul to Santiago—where our brand is thriving with irresistible food and a passion for fun that no one else offers to our scale. We see potential throughout the country in both established and newer markets, especially those with an emerging middle-class and large influx of educated youths including Delhi NCR, Mumbai, Pune, Chennai and Calcutta. Master Franchise, some with sub-franchising ability. - Passionate belief in the Brand.